Katerina Roberts, BSc(Hons), Cert Ed. Katerina runs a private homeopathic practice in South East London and Kent. 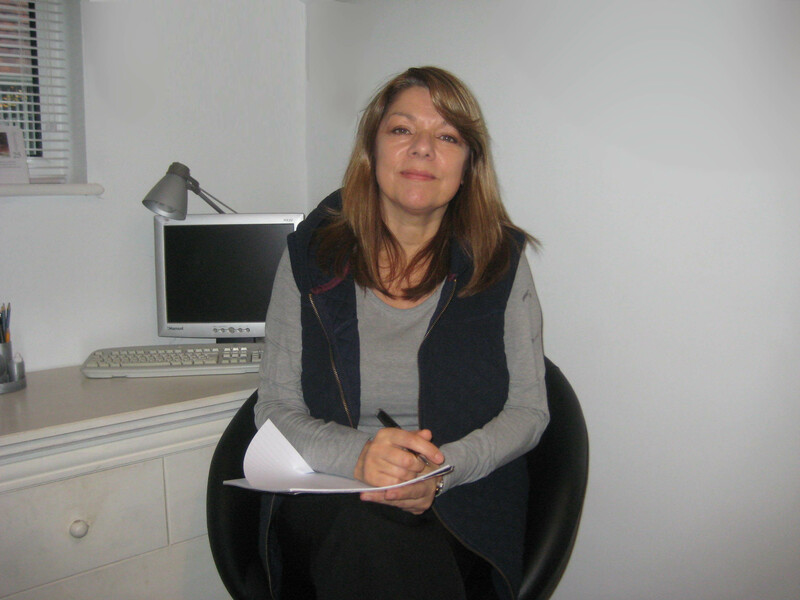 She is a part-time tutor at Bromley Adult Education Centre, where she teaches a variety of Complementary Health courses. She has a degree in Homeopathy and also holds qualifications in Aromatherapy and Reflexology, which she has incorporated into her practice, offering her clients a unique holistic treatment. As an art lover, she considers herself fortunate to have been employed by the Anthony d’Offay Gallery in London during the early 1990’s as she was able to become familiar with the works of a range of wonderful artists represented by the gallery which included Gilbert & George, James Turrell, Carl Andre, Gerhard Richter, Joseph Beuys, Cecil Collins, Michael Andrews, Jasper Johns, Jeff Koons, Anselm Kiefer, Richard Long and Andy Warhol. I am an artist, performer and a qualified homeopath. (A graduate of Goldsmiths College, London in Fine Art textiles, Cirque Archaos, Sushma Mehta in Kathak Dance and Dr. Yubraj Sharma World Of Light Academy in Shamanic Homeopathy)I have an ever-expanding interest in art and movement-based healing .I am also an educator – working in community arts and dance for over 15 years. I teach healthy eating and cooking at a mental health arts charity. My passion and experience is in Arts and Health. I have designed and delivered community projects for over 25 years – where I have successfully inter-woven the two themes. I believe they are intrinsically linked. I like to encourage people to empower themselves through creative expression and through taking an active role in their well-being. Being a core member of the Art & Homeopathy group allows me to explore healing, creative expression and the arts with other like-minded and supportive people. Wendy Pauls is a homeopath, artist and chef who lives in York. She started out achieving an Honours degree as an artist, then began a career as a vegetarian and vegan chef, setting up and running several restaurants since the 70’s, until now with her shared venture now nine years old; Goji Café in York. … teaching art and cooking along the way. When homeopathy quickly cured her daughter of a stubborn complaint, so the journey began to understand homeopathy and to use it wherever and whenever required. She qualified as a registered homeopath in 2005, and claims it is the best choice she ever made in life. It was whilst working with adults with art, and prescribing homeopathy for them but separately, that she realised that art could successfully combine to become a tool to aid diagnosis and deepen knowledge and awareness of the case in hand and to that end started to compile and record methods to do so. Some years and plenty of study and research later she discovered the homeopath Ian Hamilton had just initiated and founded an art and homeopathy group. Delighted to discover that she was not alone in her thinking, Wendy joined his venture.